The IRE was born from the desire to strengthen the regions and cities of Europe. Along with the operational instruments, such a desire also requires high-level backing. To fulfill this duty, well-known and important people of public life in Europe support the IRE by the signing of a public declaration. This declaration embodies the IRE’s ideas and visions, and the support of the board serves as a testimony to our credibility as well as our dedication to the European principles of peace, solidarity and subsidiarity. The Institute of the Regions of Europe (IRE) is a European, supra-regional, non-partisan and independent institution for all European regions and municipalities inside and outside of the EU, with the aim to strengthen the political as well as the economic position of the regions and municipalities in Europe. The IRE’s activity hence adheres to the idea of a “Europe of the Regions” at the basis of the principle of Subsidiarity, which is one of the supporting pillars of the European Union as defined in the Lisbon Treaty. 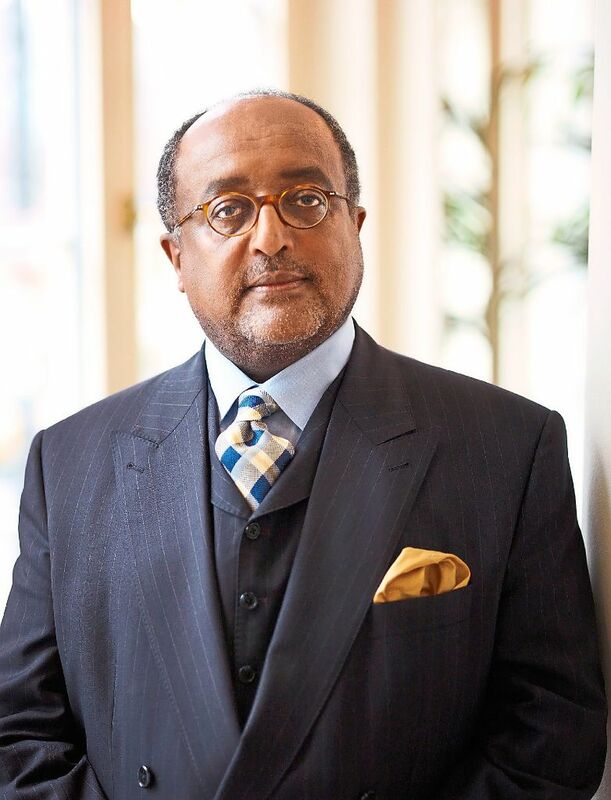 Le’ul Ras (Prince) Dr Asfa-Wossen Asserate (born October 31, 1948, Addis Ababa, Ethiopia) is an Ethiopian-German political analyst and consultant for African and Middle-Eastern Affairs and best-selling author. A member of the Ethiopian royalty, he is the great nephew of the last Emperor of Ethiopia Haile Selassie I, great-grandson of the Empress Menen and son of the last President of the Imperial Crown Council, Le’ul Ras (Duke)Asserate Kassa and his wife Leult (Princess) Zuriash Worq Gabre-Iqziabher. In 1974 the Derg takeover in Ethiopia made it impossible for him to return to the land of his ancestors: His father and sixty other dignitaries of the Imperial Government were executed without a trial and all the members of the Imperial Family were held in kith and kin detention for over a decade by Derg. Whilst in West Germany Asfa-Wossen Asserate founded the Human Rights Group for Ethiopia called the “Council for Civil Liberties in Ethiopia (CCLE)” and campaigned for the release of all political prisoners and his detained family until the demise of the Mengistu dictatorship. After leaving university he worked as the Press Officer for the Frankfurter Messegesellschaft (1978-1980), and as the Director of the Press and Information Department of the Düsseldorf Trade Fair and as a freelance journalist (1980-1983). In 1981 he became a German citizen. Since 1983 he has been working as a Consultant for African and Middle Eastern Affairs, advising middle-sized German companies in respect to their export promotion to these countries. Brok is a German Member of the European Parliament and the current Chairman of the European Parliament Committee on Foreign Affairs. He was elected on behalf of the Christian Democratic Party and sits with the European People’s Party. An MEP since 1980, he has held many leadership positions in German and European politics. 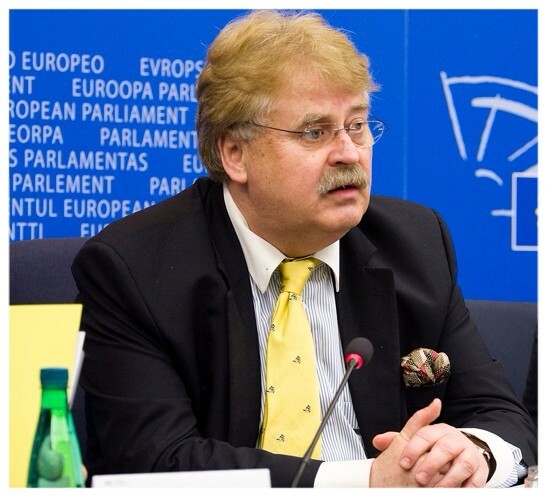 As a member of the Convention on the Constitution for Europe and in the Committee on Constitutional Affairs, Brok is widely credited with crucial contributions to the Constitution of the European Union. He is currently the President of the Union of European Federalists (UEF). Buzek (born 3 July 1940) is a Polish engineer, academic lecturer and politician who was the ninth post-Cold War Prime Minister of Poland from 1997 to 2001. 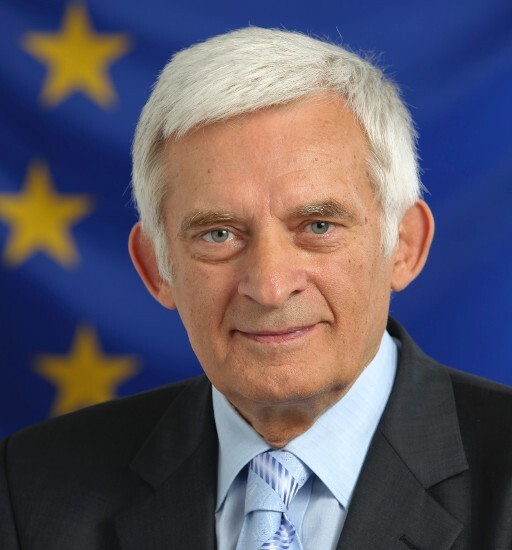 He has been a member of the European Parliament since 13 June 2004, and was President of the European Parliament between 2009 and 2012. Between the years 1997–2001 as Prime Minister of Poland his cabinet’s major achievements consisted of four significant political and economic reforms: a new local government and administration division of Poland, reform of the pension system, reform of the educational system, and reform of the medical care system. He is an expert in Energy and Foreign Policy. 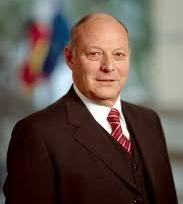 Luis Durnwalder is former governor of the autonomous province of South Tyrol (Italy) from 1989 until 2014 and vice-president of Trentino-Alto Adige/Südtirol. In 1969, he became mayor of his home municipality and in 1973 delegate to the provincial state assembly. At that time he also worked as chairman of his party the farmers’ association, Südtiroler Bauernbund. After the 1978 elections, he was promoted to member of the regional government and later became governor of South Tyrol. Ferrero-Waldner (born 5 September 1948) is an Austrian diplomat and politician, and a member of the conservative Austrian People’s Party (ÖVP). Ferrero-Waldner served as the Foreign Minister of Austria 2000–2004, as the European Commissioner for External Relations and European Neighbourhood Policy from 2004 to 2009, and as the European Commissioner for Trade and European Neighbourhood Policy from 2009 to 2010. She now holds the office of President of the European Union, Latin America and the Caribbean Foundation and is a member of the supervisory board of the Munich Reinsurance Company. Hubert von Goisern (born 17 November 1952) is an Austrian singer-songwriter and world musician. With his mix of rock music and elements of traditional Volksmusik he has become a prominent exponent of the so-called New Volksmusik and Alpine Rock in Austria, Switzerland, and Germany. His stage name “von Goisern” refers to his home town. Hubert von Goisern has won numerous record certifications and several national and international awards. His lyrics very often tackle political issues. Hahn (born 2 December 1957) is an Austrian politician, who has been Commissioner for European Neighbourhood Policy & Enlargement Negotiations since November 2014 . He previously served as European Commissioner for Regional Policy in the second Barroso Commission, succeeding Benita Ferrero-Waldner as Austria’s EU representative. During his term as EU Commissioner for Regional Policy Johannes Hahn implemented the most ambitious and comprehensive reform of EU Regional Policy so far. The main achievement of the reform was the transformation of Regional Policy from a subvention into a genuine investment policy, closely linked with EU economic governance and macro-economic conditions. This allows e.g. to modify programmes to support key structural reforms. Josipović (born 28 August 1957) is a Croatian jurist, composer and politician who served as the 3rd President of Croatia from 2010 to 2015. Josipović entered politics as a member of the League of Communists of Yugoslavia (SKJ), and played a key role in the democratic transformation of the League of Communists of Croatia into the Social Democratic Party (SDP) as the author of its first statute. He left politics in 1994, but returned in 2003, winning a seat in the Croatian Parliament as an independent candidate on the SDP party list. In addition to politics, Josipović has also worked as a university professor, legal expert, musician and composer. Juncker (born 9 December 1954) is a Luxembourgish politician who has been President of the European Commission since 2014. Juncker previously was Prime Minister of Luxembourg from 1995 to 2013, as well as Luxembour´s Minister for Finances from 1989 to 2009. He was the longest-serving head of any national government in the EU, and one of the longest-serving democratically elected leaders in the world, by the time he left office, his tenure encompassing the height of the European financial and sovereign debt crisis. From 2005 to 2013 Juncker served as the first permanent President of the Euro-group. 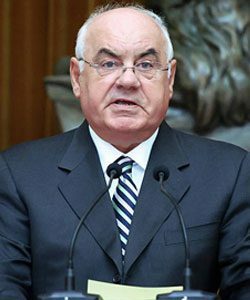 is a former Albanian general officer, diplomat and politician who served as the 5th President of Albania from 2002-2007. He is the eldest son of famed Albanian Army general, Spiro Moisiu.In 1946 he was sent to the Soviet Union as a student. In 1948 he graduated from the military engineering school in Saint Petersburg (then Leningrad). He served in Tirana as a platoon-commander at the United Officers’ School (1948–1949) and as a teacher at the Military Academy (1949–1951). From 1952 to 1958 he attended the Academy of Military Engineering in Moscow, graduating with a Golden Medal (a distinction for excellent study). Back in Albania, Moisiu continued his military career in the engineers’ department of the Ministry of Defense. From 1967 to 1968 he attended the higher courses of general staff at the Defense Academy of Tirana. At the same time he commanded a pontoon brigade in Kavajë (1966–1971). In 1971 he became the chief of the Bureau of Engineering and Fortifications of the Ministry of Defense (under Enver Hoxha, when thousands of concrete casements were built as defense against states held to be hostile). He returned to public life in December 1991 when he was appointed Minister of Defense in Vilson Ahmeti’s technocratic government. He held that post until April 1992 when the first Government of the Democratic Party, led by Aleksander Meksi, was formed. Pahor (born 2 November 1963) is a Slovenian politician who has been President of Slovenia since December 2012. He was Prime Minister of Slovenia from November 2008 to February 2012. A longtime president of the Social Democrats party, Pahor served several terms as a member of the National Assembly and was its chairman from 2000 to 2004. In 2004, Pahor was elected as member of the European Parliament. Following the victory of the Social Democrats in the 2008 parliamentary election, Pahor was appointed Prime Minister. In June 2012, he announced he would run for the office of President of Slovenia. He won the elections on 2 December 2012, receiving two-thirds of the vote. Erwin Pröll was born into a wine-growing family. He studied at the University of Natural Resources and Life Science in Vienna. Prior to his doctorate, he became member of the Austrian Farmers Union – part of the Austrian People’s Party – in 1972, where he soon became economic advisor. He started his political career in town council. At the age of 33 he was already elected to the Lower Austrian regional government. From 1992 until 2017 he was the state’s governor and party’s chairman. Pröll is married with four children. He is the uncle of Josef Pröll, former Austrian Vice Chancellor and Minister of Finance. 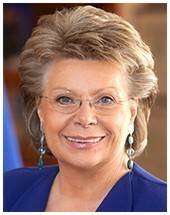 Viviane Reding (* 27. April 1951 in Esch an der Alzette, Luxembourg) is a Luxembourgish journalist and politician. She optained a doctorate in human sciences at the Sorbonne in Paris. After her studies, she worked as a journalist for the daily newspaper Luxemburger Wort. Reding has more than 25 years of professional experience in European politics. For the first ten year she was member of the European Parliament. From 1999-2004 she served as European Commissioner for Education and Culture and subsequently became the Commissioner for Information Society and Media (2004-2010). From 2010 to 2014 she was Vice-president of the European Commission and European Commissioner for Justice, Fundamental Rights and Citizenship. Since July 2014, she has been again a member of the European Parliament. In addition, Reding also pushed for strengthen the EU’s commitment to equality between women and men and consequently adopted a Women’s Charter. Moreover, Viviane Reding has also presented measures to improve the representation of women in boardrooms of publicly listed companies. A proposal for a directive on the strengthening of victims’ rights was also adopted on Reding‘s proposal. Furthermore, she played a very important part in promoting the Erasmus Mundus Program, which promotes student exchanges among the Member States. The “Year of the European Citizens” in 2013 was supervised by her. Hence, she has set herself the goal of bringing Europe closer to the citizens and a debate on the future of Europe. Schüssel (born 7 June 1945) is a politician of the Austrian People’s Party. He was Chancellor of Austria for two consecutive terms from February 2000 to January 2007. He has been recognised as a rare example of an active reformer in contemporary Austrian politics. Karel, Prince of Schwarzenberg (born 10 December 1937) is a Czech politician, former leader of TOP 09 party and its candidate for President of the Czech Republic in the 2013 election. Schwarzenberg served as Minister of Foreign Affairs of the Czech Republic from July 2010 to July 2013. Nominated originally by the Green Party, he was Minister of Foreign Affairs from 2007 to 2009. He served as Senator for one of Prague districts from 2004 to 2010. In May 2010, he was elected Member of the Chamber of Deputies, gaining the largest number of preference votes. He was a candidate for President of the Czech Republic in the 2013 presidential election, and qualified for the second round. He ultimately finished second, receiving 45.19% of the votes. Schwarzenberg is noted for his pro-European views. Stoiber (born 28 September 1941) is a German politician, former minister-president of the state of Bavaria and former chairman of the Christian Social Union (CSU). Stoiber led the CSU to an absolute majority in the Bavarian state election 2003, for the third time in a row, winning this time 60, 7% of the votes and a two-thirds majority in the Landtag. In November 2007 Edmund Stoiber accepted the position of Director of the High Level Group of the European Union tasked with reducing European Union bureaucracy. Türk (born February 19, 1952 in Maribor, Slovenia) is a Slovenian jurist, diplomat and politician. 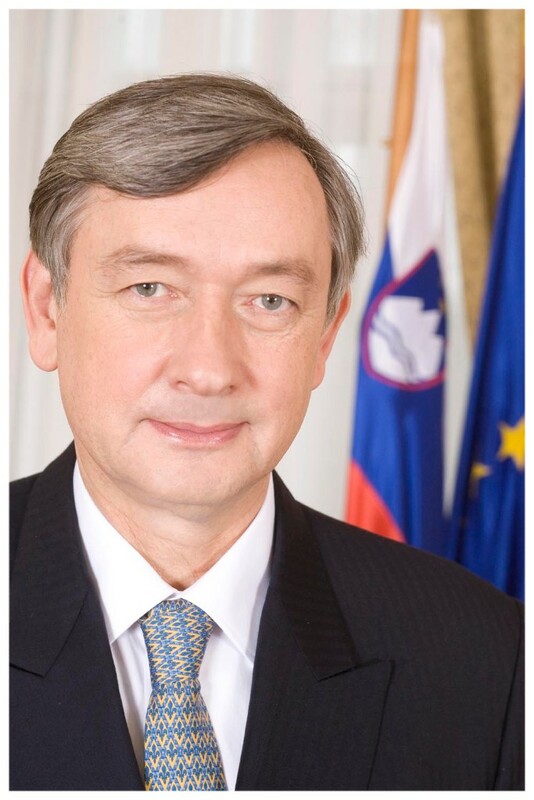 From 2007 to 2012 he was President of Slovenia. Türk studied law at the University of Ljubljana, Slovenia, where he obtained his law degree (1975). In 1978 he obtained his masters degree in law from Belgrade University and started teaching International Law in Ljubljana. In 1982, he obtained his doctorate thesis. From 1992 to 2000 he was Ambassador of Slovenia to the United Nations. In early 2000 he was appointed political assistant by UN Secretary General Kofi Annan (until 2005). From 2006 to 2007 he was deputy director of the University in Ljubljana. On 11 November 2007 he was elected President of the Republic of Slovenia with 68,03% of the vote and was inaugurated in the National Assembly on 22 December 2007. Waigel (born 22 April 1939) is a German politician of the Christian Social Union in Bavaria. Waigel is a lawyer, and earned his doctorate in 1967. He was a member of the Bundestag from 1972 to 2002. He served as Federal Minister of Finance of Germany in the Cabinet of Chancellor Helmut Kohl from 1989 to 1998, and as Chairman of the Christian Social Union in Bavaria from 1989 to 1999. He is known as the father of the Euro. He played a vital role in its introduction as German Minister of Finance. In 2009, he was appointed Honorary Chairman of the CSU. He works as lawyer in Munich, Germany. 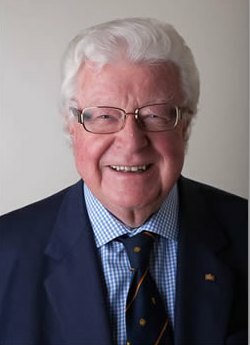 Alan John Watson, Baron Watson of Richmond, CBE (born 3 February 1941) is a UK-based broadcaster, Liberal Democrat politician and leadership communications consultant. He was educated at the Diocesan College, Cape Town in South Africa, Kingswood School in Bath and was awarded an MA in 1963 from the University of Cambridge. In politics, Lord Watson’s notable role was as President of the Liberal Party. He was appointed CBE in 1985 and, in 1999, was elevated to the House of Lords as Baron Watson of Richmond, of Richmond in the London Borough of Richmond upon Thames. He is a member of the House of Lords Select Committee on the European Union. Outside of the United Kingdom, Lord Watson is Chair of the Albanian British Chamber of Commerce and is a Member of the European Parliament’s High Level Group on Romania. Lord Watson is Chairman of CTN Communications. He advises the leaders of major UK and international companies on their communications, with clients including BP, BAE Systems and Tesco. Watson’s German-born wife Karen is an artist: they have two sons, Stephen and Martin. Yumkella (born in 1959 in Sierra Leone) is the Special Representative of the Secretary General of the UN for Sustainable Energy and former Director-General of UNIDO (United Nations Industrial Development Organization) in Vienna. Yumkella studied General Agriculture in Sierra Leone, continued his studies in the United States and graduated in 1992 with a PhD in Agricultural Economics at the University of Illinois. Before his career in the UN he was Minister for Trade, Industry and State Enterprises of Sierra Leone and, a lecturer at American universities, among other positions, and has been granted various awards as well as high appreciation and recognition. He held high-ranking positions in UNIDO before his appointment for Director-General (2005-2013). He was Special Representative of the UN Secretary General and Chief Executive Officer for Sustainable Energy for All from 2013 – 2016. Yumkella often publishes articles in international magazines, e.g. The New York Times, The International Herald Tribune or The Guardian.